Imagine a land where roughly 80% of youth under the age of 19 own a smartphone. These minors’ phones are monitored by their parents’ phones, which are capable of tracking websites and apps accessed, as well as when and for how long. Parents aren’t alone in these efforts, however; telecommunications companies and software developers track data and inform parents when the system isn’t working. That land is South Korea. A new law requires one of 15 monitoring apps to be installed on the new smartphone of anyone under the age of 19; already, the apps have been downloaded nearly 500,000 times. This is a law with loopholes, as it only affects the owners of new Android phones. Minors who already own a smartphone or who buy a new iPhone are not required to install a monitoring app. Furthermore, it is only the installation and not the use of an app that is required. However, if an app is deleted or rendered inoperable, parents will receive monthly notices about such matters. Furthermore, according to the AP, teenagers have already found ways around the law: 17-year-old Paik Hyunsuk will simply wait until he is 19 to buy a new phone. Cho Jaehyun and his parents decided to uninstall the app once he reached high school. Regardless, the push back from civil liberties defenders has been strong. According to Open Net Korea’s briefing on the law, “The Decree is unconstitutional as it infringes on children’s privacy and parental rights, increases the risk of data breach, and overburdens both the business and the parents.” Open Net is currently in the process of appealing the law on these grounds. Cybersecurity experts have also contributed to the criticism. Some fear that a precedent has been set that could lead to the monitoring of adults’ private data in the future; others predict that the state-sponsored monitoring apps might exist for government spying purposes. Regardless of future fallout, those who are guaranteed to suffer from this law are young children and the society of adults they will one day become. In 2013, roughly 3/4 of elementary school-aged children owned a smartphone. This law invites them to grow up knowing nothing but internet surveillance; today’s teenagers question and rebel against the law, tomorrow’s teens may simply accept it. 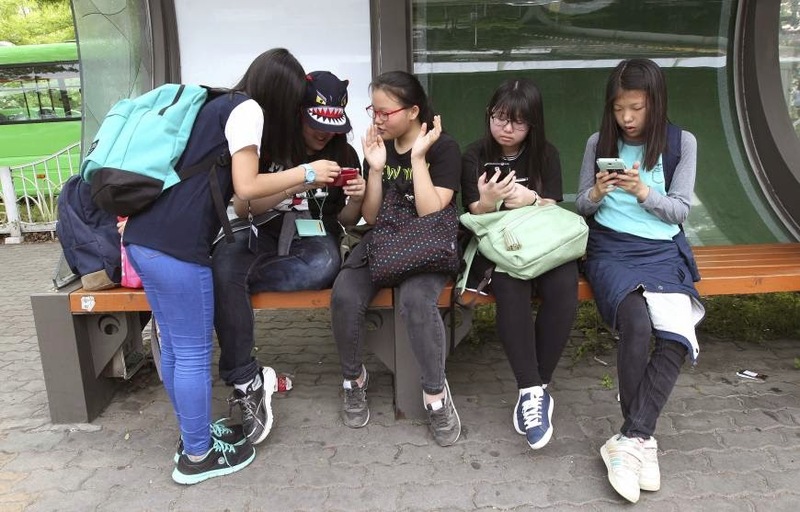 As Open Net’s Kim Kha Yeun pointed out, “We are going to raise people who are accustomed to surveillance.” If South Korea wants a populace capable of free and independent thought, it should rethink the mandatory installation of monitoring technology on minors’ phones.